Here you will find hourly forecasts of weather conditions for over 100 cities. Check the left panel to choose a station/city, the variable to view, and the forecast model. 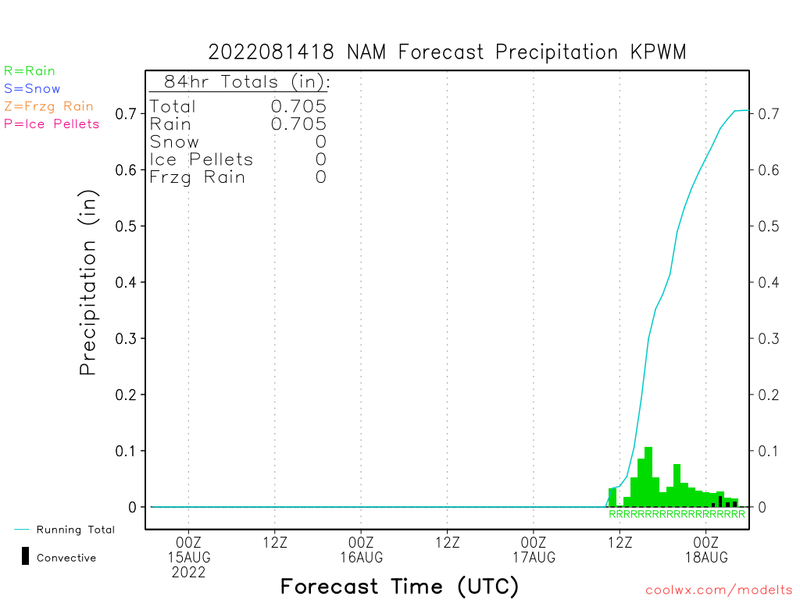 The plot below is for the city having the greatest NAM-forecast precipitation in the next 84hr and is updated with each run.